Greece is a country in Southern Europe, on the southernmost tip of the Balkan peninsula. It's a geographically appealing place to visit, with a mountainous mainland and idyllic island beaches. Main tourist destinations are Crete, the Dodecanese (Kos, Rhodos), Cyclades (Mykonos, Santorini), and Western Greek Islands (Corfu, Zakintos). Map fo Greece (Small Overview Map). Map fo Greece (Overview Map). Map of Greece (General Map). Map fo Greece (Political Map). Map fo Greece (Relief Map). Map fo Greece (Interactive Map). Map fo Greece (Topographic Map). Map of Greece (Satellite Map). 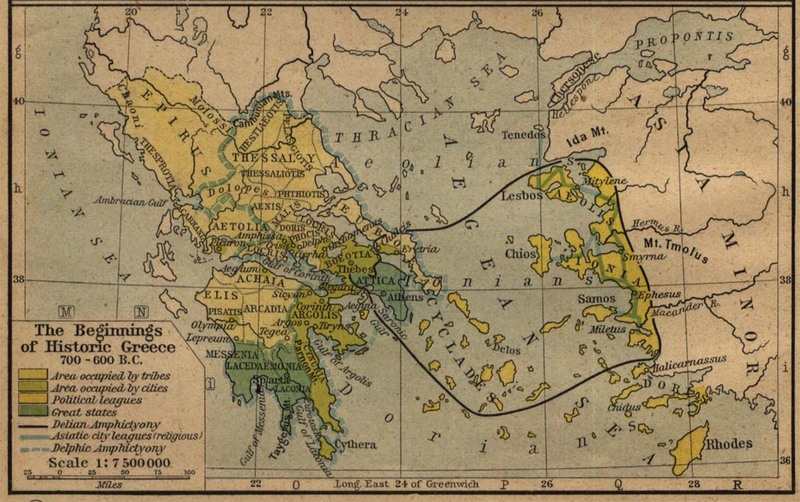 Map of Greece (Nautical Maps). Map of Greece (Linguistic Minorities).